Brittany is an excellent realtor! She is very dedicated and hard working. Brittany looks out for me and my families needs. She has been working with us passionately for 2 years every step of the way. We start and stop house shopping each spring/summer and Brittany is always there dedicated as ever. She responds to emails and texts quickly. She also looks out for the pitfalls while searching for a house. Brittany is our lifelong realtor. After moving from Cincinnati to Atlanta, we had chosen to keep our home as a rental property for several years. Brittany listened closely to our needs, developed a plan specific to our home, and then implemented that plan. It required that we invest in certain improvements, which Brittany helped us with both identifying and arranging all of the necessary services. Brittany is very hard-working, responsive, and really looks out for the best interest of her clients. We had no idea how much actually went into selling a house and was very glad to have a professional like her in our corner with all the resources that she brought with her. We would highly recommend her to anyone. Brittany Williams helped me in purchasing my first home! Her experience and personal interaction gave me confidence and provided a smooth home buying process. I felt that she was 100% invested, same as me. I would do it all over again. “My experience with LuxCincy was great! Brittany was very in tune with my wants and needs throughout the process, and she remained proactive and informative every step of the way." "I will be sure to use Brittany if we are ever in the market again." Brittany was a pleasure to have as our real estate agent!!! 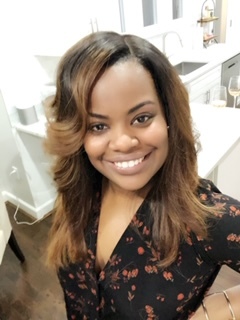 As first time home buyers, the entire process seemed incredibly overwhelming at first; however Brittany took the time to explain everything to us in great detail keeping us at ease from our first showing all the way to closing. She was attentive to details, paying close attention to our needs and desires and making the right neighborhood and house recommendations even as our wants evolved. Brittany was very knowledgeable about multiple neighborhoods in Cincinnati and the surrounding suburbs, and was able to answer the large majority of our questions. She was very responsive to emails and was quick to book showings for us during a time when houses were flying off the market! Even now, months after settling into our new home, Brittany continues to check in and make sure everything is ok and if we need anything from her. I will be sure to use Brittany if we are ever in the market again, but I’m not sure if we’ll need to any time soon since she found us our dream home. — Y. Mack, Sycamore High School. The mission of LuxCincy is to provide a superior level of real estate service to each and every client in the Greater Cincinnati area!